Established August 7th, 2012 Duke Driving School is celebrating its 6th year of business!!! 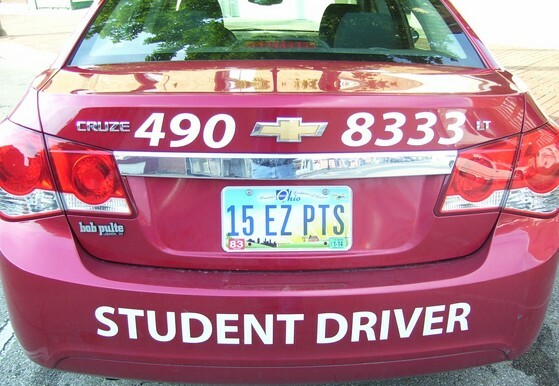 Students from over 15 different school districts and various communities across Champaign, Clark, Fayette, Franklin, Madison, Pickaway, and Union counties have taken advantage of the driver education provided by Duke. Students from Jonathan Alder, Bishop Ready, Emmanuel Christian Academy, Fairbanks, Global Impact STEM Academy, Hilliard-Bradley, Hilliard-Darby, Madison-Plains, Marysville, Mechanicsburg, Miami-Trace, Northeastern, Southeastern, Tolles Technical Center, Triad, Westfall, West Jefferson and students who are home-schooled, have all benefited from the driving instruction offered at Duke. 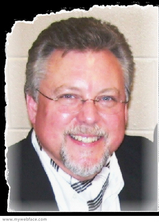 Although Duke Driving School is relatively new to London and Madison county, J. T. "Tom" Duke the Owner & Training Manager of Duke Driving School, is not new to the field of driver education. Certified as an Instructor by the State of Ohio since 2002, Mr. Duke is in his 16th year of conducting classroom and in-car instruction. Previously he worked with Bick's Driving School of Middletown and AAAA International Driving School of Cincinnati. Having managed 2 office/classroom locations (Springboro & Lebanon) and having instructed literally countless-thousands of students (from Centerville, Cincinnati Hills, Clinton-Massie, Dayton Christian, Fenwick, Franklin, Lebanon, Lakota, Little Miami, Kings, Middletown, Middletown Christian, Mason, Monroe, Miamisburg, Springboro, Waynesville, West Carrolton, and Wilmington schools), he draws from over a decade worth of experience as he teaches young people and adults today. We use the very latest "Drive Right" curriculum from Prentice Hall approved by the State of Ohio and endeavor to make our class sessions fun and interactive. Mr. Duke's many "accents" and stories will provide students with good illustration and entertainment. When teaching, Mr. Duke often says, "Always equate legality with safety. If something is illegal, it's because it is unsafe. Driving is all about safety." Through the years he has developed a "formula" for teaching others how to drive and to perform maneuverability. THE part of the Driving Exam students are worried about most is Manueverability. Mr. Duke will simplify it all by teaching his "3 Principle Method." After learning Mr. Duke's "3 Principles", most students breathe a sigh of relief and say, "This is not as hard as I thought it was going to be!" Duke's method of operation is both personable and practical. He implements and imparts to his students 15 essentials (15 EZ PTS) for safe, responsible driving. Along with teaching the laws and "rules-of-the-road", he will be sure to help students understand that "driving is both a thinking and a social task". Safe, responsible drivers are alert, thinking individuals. They make good decisions when at the wheel of a vehicle. They also recognize the social interaction that takes place on public roads. An awareness of others is vital to being a good, safe driver. Students will learn that they are sharing the road with loved ones, friends, neighbors, classmates, etc. This is why students need both the classroom interaction and behind-the-wheel practice as they develop intellectually and socially - they improve "the life-skills they need for the roadway" in each arena of their experience. Mr.Duke enjoys working with young people. He served as a volunteer mentor in the Warren County Mentor Program for 3 years, helping troubled youth. He has raised 2 sons with careers in the entertainment industry and building construction consultation. One, having received a double Bachelor of Arts degree in Music from Lee University, has earned his Master of Fine Arts degree at Columbia College in Chicago, through an internship in Hollywood, CA where he now lives and works. The other has received his Bachelor of Arts degree in Construction Business Management at the University of Cincinnati. Straight out of college, he found employment as a consultant with a prominent company in Findlay, Ohio. He now works for his UC internship associates in Cincinnati, Ohio as an on-sight Project Manager. Mr. Duke says, "This job is a good fit for me. From the time I was a kid, I enjoy riding in a car - there's not too much a student can do, error wise, that really rattles me because I'm comfortable in a vehicle - I'm in my element." Another important aspect for Mr. Duke is this, "It is very rewarding to think that I am helping young people be safe on the roadways. I truly care about my students and want to see them make it to graduation and beyond. The ultimate goal for Duke Driving School is not just to see students pass a test, but equip them with safe, courteous, and responsible driving skills that will last a lifetime."